If you would have told us 2 years ago what we are about to be doing, we both would have laughed at you and said “that’s a good joke”! However, in the past few years God has done an incredible work in our hearts & lives and well…pretty much completely turned our plans upside down and showed us His. His plans for how our family was put together were very different from what we originally thought they would be and guess what, we love the way He formed our family and put it together. So we trust Him knowing His ways are ALWAYS going to be WAY better than ours! We are very excited to share with you all that God has called us to the country of Haiti to help make Him known. He made this call very clear to us with confirmation and peace and now we are ready, willing & eager to get to Haiti so we can start serving there. We weren’t the kind of people that grew up thinking that we would some day go into the mission field but now as we look back at the past several years of our lives, we can see so clearly how God was preparing us and equipping us all along, when we had no idea. We are so thankful God is good, faithful and all knowing because He goes before us and prepares the way before we even know the first step! It’s been an amazing journey already, that started almost 2 years ago. To see how He has guided us, molded us and worked in our hearts to get us to the point where we were completely ready to give up everything here, to move there, is nothing short of a miracle in our eyes, so we give Him all the glory for that. We are so excited to tell you in the coming months over coffee, at dinner or even by sharing at your church, what God has done and all the amazing details. If you all saw our Facebook posts a few weeks ago, you may have been wondering what in the world we were doing there since it didn’t really show us doing work projects but instead spending a lot of time with the other missionaries there and the things they do. 🙂 Well….we were going there to see more of what life will be like for our family when we live there. It was an amazing trip that really helped us in so many ways! God gave us even more peace and clarity on how this was to be our home! If we had the boys with us already, we wouldn’t have wanted to leave! We are eager to return! SO WHAT NOW? Well, missionaries through our organization RMI (Reciprocal Ministries International) rely 100% on faithful donations of people and churches to help us move and stay there! The missionaries there told us on our last night to go to the GRIND and work hard during our deputation stage (support raising stage) so that we can hurry and move down there because they need us as soon as we can get there! There are so many great needs in Haiti and with voodoo being so prevalent, there is much need for spiritual freedom that can only be found in Christ! Our goal would be to be moving down there in a year or so! We’ve heard of it taking as little as 6 months or as long as 3 years, so we have peace knowing God knows the exact time He wants us down there, so we trust Him! We have a one time moving costs to raise 100% and our monthly living costs down there we have to raise in monthly supporters 100% before we move! Here are FOUR things we’d LOVE from you! Please put us on your prayer list and start praying over our family and for our journey. The enemy is going to fight this and we’d love to have warriors on the frontline praying over each step of this journey! Pray about becoming one of our monthly supporters and being a part of our ministry family! More info HERE! We truly cannot do it without you! We may be the feet that are going but you can be a part of the hands that God will use to send us! Pray about asking your pastor or small group if we can share our story with your church/group! For more details check out our NEWSLETTER HERE! 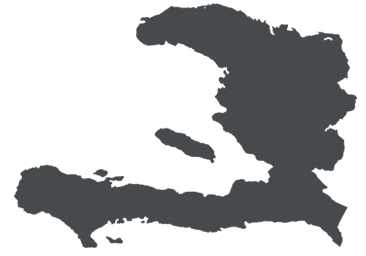 To learn a little bit more about what we will be doing in Haiti click HERE! To learn more about our family go HERE! To connect with us about any questions, supporting us or having us share at your church/group….go HERE! We would LOVE to send you our prayer card to hang on your fridge or put wherever you’d like! You can go HERE to print it off yourself or if you’d like an official copy make sure and to go our Connect with Us page and send us your address! We thank you so much for your prayers and support! We have such peace knowing God is already working in this and we are praying for each of you who will join us on this journey! Stay tuned to our blog as we will be posting many fun blog posts and updates as well in the coming months! Tears in my eyes as I read this story of you and your family following God’s call for your life. What a blessing to Haiti and everyone there to have your family in their midst! I pray that God would lead my family as He has yours to follow His plan for our family. God has great things in store for you! God bless you!!! I am so excited to see what God will do through your family. I am praying for you through each step of this journey. Much love to you my precious friend and your sweet family. Thank you so much Penny! Love you and so thankful for your friendship! Very cool. WE can’t wait to have you join us!!! Thanks so much! We are SO excited to join you all!